The Konohana Family is a community which was founded at the foot of Mt. Fuji in Japan in 1994, and where about 100 non-blood-related people, young and old, live as a big family. The Konohana Family has attracted domestic and international attention as a leading case for sustainable living, with activities such as high food self-sufficiency, common-economy, and the natural therapy program (which offers countless physical and mental recoveries which modern medical treatment cannot achieve). However, since 2013, criticism has been developed on the internet, which says that violence exists within the Konohana Family, and that we are a cult group where members receive mind-control. The modern society has reached a great dead end, and a new way of life beyond conventional values has become necessary for future humans. Considering this, the purpose of this website is to reveal the truth behind the Konohana Family, explain the importance of the Konohana Family community, and consider how this existence could be of a great guideline for the future of humanity. ＊Please refer to the Konohana Family’s official website if you would like to know about our activities. Let’s begin with the origin of the universe. The Earth exists in the solar system, which is a part of the Milky Way galaxy, in an even bigger cluster of galaxies. Myriads of stars, that exist in an extremely magnificent scale and never stay at the same spot for even for a moment, communicate with each other under a complex and accurate balance, and continue to travel in the vast universe. The Earth orbits the sun every 365 days at the speed of 30km per second. Also, the sun spirals and orbits the Milky Way galaxy every 226 million years. Moreover, the Milky Way galaxy orbits a cluster of galaxies over an eternal about of time, and nothing ever returns to the same spot again. It is the figure of the universe that all existences always continue to move into a new state and unknown future. In such a universe, we humans were given a body, and came down onto the Earth as life. The Earth is a miraculous planet full of diverse living beings, which is very precious and rare even in the vast universe. Infinitesimal energy particles, which are the source of life, exist everywhere in the universe as a formlessness. When these particles are given the form of a body, and come down onto earth, they become distinguished with a unique individuality of life. Out of them, humans are very unique in a sense, in that each individual has a totally different quality. By becoming a form, the function of the universe becomes embodied as life, and lives to maintain harmony. For example, plants stretch their roots to receive water when they are thirsty, and stretch their branches to get sunlight when they are hungry. Once they have optimized their life purpose, they become food for insects and animals, and support other lives. Birds eat the insects, and other animals eat the birds. In this manner, all the lives connect to each other. When an animal is supported by another life, and dies at some stage, it becomes food for microorganisms living in the soil, and returns to the soil in order to become a source to nurture new plants. All the lives maintain themselves, and at the same time exist in a great network of life to support other lives. This circulation exists under the law of the universe, which never stays still and repeatedly changes and transforms. However, humans have a distinctive characteristic which other lives do not have. On one hand, other lives maintain themselves and circulate according to the universal law. On the other hand, humans deviate from the life network, and have a strong ego to maintain their current state of life, which resists the law of the universe. Humans have an ego, which becomes the lens that they see the world through, and inhibits the laws of the universe from becoming realized. Rather than recognizing, and living according to, their role in the universe, humans prioritize their own thoughts and feelings. Especially in recent years, people have pushed ahead to gratify their desires, by gaining a physical power through scientific advancement. Each human is given an original individuality. If each person is attached to their ego, self-assertion emerges. People begin to experience conflict when their assertions are wrong, however if they are not aware of this, then they continue to experience conflict. This has been the history of humanity. As a result of these conflicts, humans have experienced world wars, which they have hoped to never have again. Since the post-war peace activities, people with social positions have insisted upon their own viewpoints, and continued to create conflicts, while considering different views as conflicting with their own. Therefore, the human consciousness that has made the previous wars, still is being expressed on earth. We encounter phenomena which are appropriate to our level of consciousness, which exists under the universal law. The reason why so many people wish for peace, while conflicts still exist in the world, is because human spirituality has become the seed of conflict. When humans own something, they are afraid of releasing it. So, they try to hold it rigidly. However, when they own something, their consciousness already deviates from the law of the universe, which repeatedly changes and transforms. Such contradictions have become distorted and have brought various phenomena into society. However, the reality of modern society is that many people have not realized this yet. In such a situation, no matter how hard people try to seek the truth, they can only see phenomena at their level of consciousness. When humans are trapped in their ego and become faced with a contradiction, they objectify what is different from themselves and judge it as wrong without ever experiencing it. However, the true meaning of experience is to learn from phenomena, evolve, and release old values and step into a new awareness. This has always been beyond ego. Within the infinite universe, humans are in a state of almost ignorance, and continue to reach for truth which only gratifies their ego. A genuine seeker of truth is someone who is aware of the fact that they are ignorant in this world. This means that they always have some space to take in new wisdom. If something is considered wrong, based on only egocentric interests, then humans cannot escape their mind, which binds us from seeing our True Self as a part of the universe. All lives are destined to change and transform repeatedly according to the universal law. We can broaden our worldview and become empowered by always destroying the present, and welcoming an unknown future. This is how to live in the universe. It is said that modern people use only 10 percent of their brain’s potential. Only when humans can escape the cage of their ego, and expand their worldview greatly, will they be capable of an immeasurable potential, which has been sleeping behind their current functioning. This allows individuals to live vividly through the era and see all perspectives. Unless humans destroy their conventional values, they cannot enter a new era. In order to face the next era, humans need to face their ego positively and understand its framework (i.e. a worldview composed of individual, organizational, and social awareness = a range of attachment). Just like individuals, it is also important for nations to face their ego as a personality and observe their own attitude objectively. It is up to us if we want to shift our own values, or to keep moving the way we are, and accumulate contradictions. If humans continue to proceed without changing their attitude, the universe and the earth will give humans phenomena, which are appropriate to their attitude. We, human beings, cannot live independently from anything. The earth rotates and revolves around our shining sun shines, allowing all life wet and dry seasons. The rain and wind nurture all creation so that we may live in a rich circulation of life. We are simply given blessings from this complex life network. 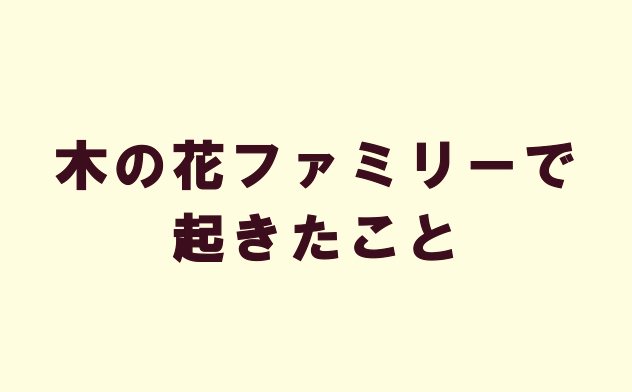 Interconnected with the five elements of earth, the phenomenal world (Tokoro = Place) and the existence of an invisible pillar (Toki = Time) encompass the whole universe, and bring meaning to our lives. The time has come for us human beings to communicate with the universe through participating in the circulation of life on this world. Our existence on earth is possible through an interconnection with the countless stars in the universe. These stars continuously have dialogue in an amazingly high accuracy, engage with the earth, and weave a new era. The uniqueness of each human is expressed through the movement of the stars and the changing of the era. On December 21st, 2012, our solar system had its “Winter Solstice of the Galaxy” after 25800 years. The solar system rotates around the Milky Way galaxy with about 9000 spiral cycles, which takes 226 million years to complete one revolution, and every 25800 years of one cycle has a winter solstice. The winter solstice is the peak of darkness, which has the least light coming from the center of the Milky Way galaxy. The solar system experienced the summer solstice as the peak of light 12900 years ago, and it has gradually increased in darkness for a long period of time. This has been a process of covering up the truth, in which human beings have been given unique personalities but forgot that they were originally one. Even though they are in a life network, their personalities did not become harmonized, and they grew isolated with more conflicts and disorders. However, after the era reached the peak of darkness, we, the modern human beings have the opportunity to reverse the values of the past. That means we have entered the cycle with increasing light from the era, which decrease the darkness and allows the truth to be revealed. Now, just after passing the peak of darkness, a shimmer in the dark has begun to reveal the distorted systems of society. Many people have not realized this and continue to live their lives with past values which create conflicts. The values which have been ingrained in human beings for such a long period of time cannot be changed in a day. However, the era is surely entering a cycle of increasing light. Moreover, the values which we have embodied have been just a moment in the 4.6 billion years of earth’s long history. If you see it with broad view point, all phenomena is momentum, and you will see that the old values will come to an end. If you understand this cycle, it is possible to release your attachment to what you think is absolutely impossible to do so. All life generates from one source. Human beings also share the same history with the universe. If you realize this, the truth will bring us back to oneness. Since we are one, even if there are great differences in personality, we can draw a harmonious network where each one of us can exist uniquely. This is the state in which “ego and source” and “ego and whole” are always circulating. As each bud of a cherry blossom makes a big beautiful tree into one whole, each one of us is encompassed in a society to achieve our role towards the new era, and bloom each of our lives = bloom individual (kono) flowers (hana), where the whole society becomes beautiful and a rich world will be manifested. 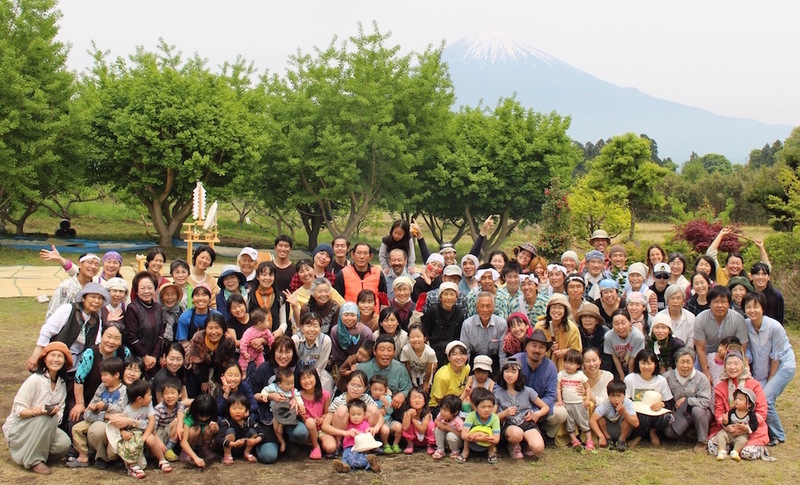 Konohana Family was established in 1994 with 20 members at the foot of Mt. Fuji. As many of the communities in the world draw their own ideal picture of themselves, and try to create their community, Konohana Family did not have any specific ideal and plan. People who believed in this new way life simply got together without knowing what would happen to their future, and a community emerged with only 20 members. The footstep of the Konohana Family is a path of challenge towards human possibility. This site was established in order to bring truth into the world, and since the existence of the community called the “Konohana Family” is has been to make a breakthrough in the deadlock of the current society. The modern society is at a deadlock, and future human beings need a new value, and it is at a great loss for the society that the Konohana Family is recognized as a problematic group; as it was described on some internet sites. This site is to unveil the whole truth of what happens at the Konohana Family, and to provide an example for human beings in the coming age. Our purpose is to enlighten the darkness of the modern society through analyzing the human mind and flow with the era as our momentum. May as many people as possible awaken to the truth, and so a harmonious world shall come. This website was opened on June 21st, 2016, the day of the summer solstice which was the peak of light. As the name of this website shows, truth will be unveiled and updated gradually, along with the era. Everyone, do not miss updates!